I was reading my latest Whole Living magazine the other day when I came across a part all about anchovies. "Gross" I thought to myself and moved on. A few pages later though...I was still thinking about the dang things. You see, I've been reading more and more about (no surprise here) the benefits of fish over the last few months. Every time I read about fish I go "Yeah Yeah, I know...too bad fish is so....fish-like." I've definitely grown up a bit (to my husband's delight) and have incorporated cod more and more into our diet...but about those other types of fish....*shudder*. Another weird part about me- I love sushi....Like LOVE. So, ok...I can eat raw fish...but just not cooked? Doesn't make sense, not even to me. My favorite? Salmon. But let me assure you- serve me a plate of hot steaming salmon and you've got yourself a problem. So back to the anchovies. As I was finishing up my magazine I kept swirling the idea of how to incorporate more fish into our diet...in any way I possibly could. I know it's like the best thing out there to eat. I know so many types provide you with all those great fats our bodies desperately need...and I'm really trying to get myself to figure out ways to eat more fish...and in turn please my half-Nordic-fish-loving husband. Anchovies have always gotten a bad wrap. Even by me. I can't help but think of the Ninja Turtles and their pizzas...with anchovies and stuff. But here's what I started thinking- they're so small! They can pretty much be mashed into oblivion and used in anything I wanted. We all know they're in Caesar dressing (which I love) and a lot of times used in other dressings and sauces. Yeah, did you know that? Just like in Asian cooking- with their usage of fish sauce (which we have and use a lot), anchovies provide a sort of undetected yummy flavor booster to many dishes. You didn't even know they were in there! So I went on a sort of anchovy brainstorming spree, bought a scary little oil packed bunch and here we are. 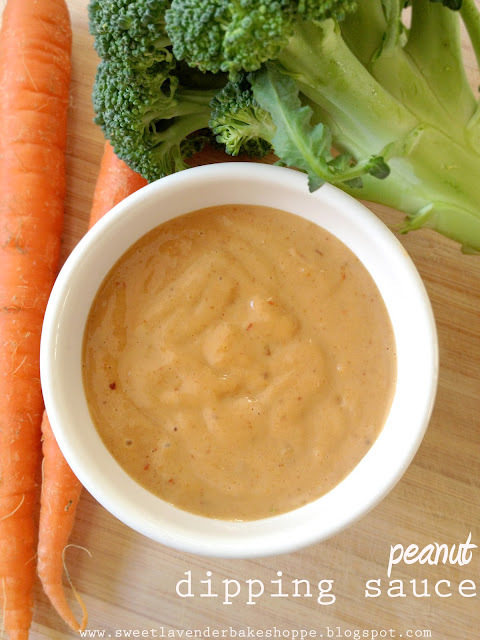 My husband and I love peanut sauces. Actually we love peanuts and peanut butter in general. Often you'll find us both standing in the kitchen, late at night, talking...and sticking spoons in both Nutella and peanut butter for a quick late night.."snack". By the way, mix the two...I promise- you will not be disappointed. Here was my big idea: I'd make a peanut sauce...keep it on hand in our fridge because, well...it always tastes great on the boring tofu we eat regularly (in our attempt to eat less meat) and I'd take a little risk and add a little Omega-3s, calcium, and Vitamin A in the form of anchovy fillets. PS- did you know unlike many types of fish out there, anchovies are super low in toxins like mercury? To our surprise, this stuff was A-M-A-Z-I-N-G. Like, lick the spoon and dip your finger in it over and over again good. This recipe couldn't be simpler. Add everything to your food processor (or blender, I guess) and whirl away! You're looking for a nice smooth consistency- thick enough to stay on veggies but not "peanut butter thick"! Use as a beef or chicken skewer dip! Great for a party. Smear on some whole wheat pita bread or tortillas, add meat (or tofu) and veggies- and have yourself a healthy wrap! Add last minute to cooked rice or whole wheat noodles and toss along with veggies and protein of some sort. Easy peasy dinner. Drizzle on grilled tofu and serve alongside brown rice and grilled veggies for a nice summer meal. That sounds so good! We are huge peanut fans here, so this would be a winner!